Comprehensive care from a premier family dentist in Carlisle, PA. Become a patient at Serafin Family Dentistry and take advantage of discounted services and enjoy competitive rates for all your dental care needs. Dr. Robert Serafin and Dr. Tamara Shore serve patients with a full range of general and cosmetic dentistry services at some of the most affordable rates in the area. Although we are a fee-for-service practice, our staff is trained and happy to submit insurance claims and assist with any other dental insurance needs. We also offer several flexible payment options for your convenience. We offer an exclusive in-house Benefit Program for patients to ensure all patients receive more value with every service booked with us. Adult patients enrolled in this program pay a premium of $410 per calendar year to cover all of the costs of exams, cleanings, and cavity checking X-rays, in addition to a discount of 20% to 35% off all other services. 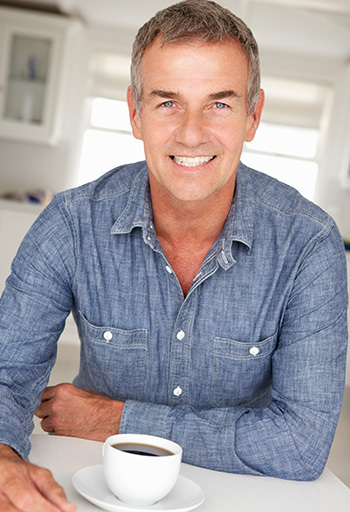 It’s our way of providing more value to our regular patients, and it can help you save a significant amount on out-of-pocket dental expenses every year. I am very impressed with the service I get and the quality of work. A very friendly and helpful staff. No pressure to get more done than you can afford. They listen to you and try and accommodate. Thank you Drs. 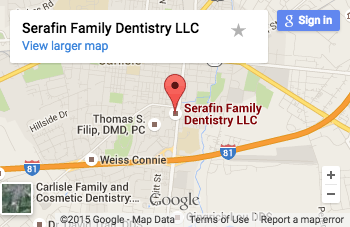 Serafin for offering a dental insurance program for those of us who don't have one. My husband and I are glad we found a good dentist." We can assist with processing insurance paperwork so that you can maximize all of your insurance benefits. In addition to our Benefit Program, patients can take advantage of other discounts on services available throughout the year. We offer a 5% cash or check discount for procedures and treatments over $1,200 or credit card for a 3% discount. Learn more about our affordable treatments and discounts available from our family dentist in Carlisle, PA, by scheduling your appointment with Dr. Serafin or Dr. Shore today!